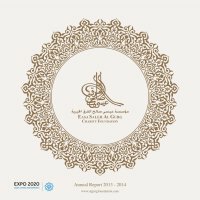 Al Gurg Charity Foundation has established a new division for orphans and poor families residing inside and outside the UAE at the beginning of 2014.
the UAE prior to the setting up of this division. launched by IACAD at the end of 2013. Al Gurg Charity Foundation began the roll-out of the project at the beginning of 2014.
charitable associations via the Internet and smart phones. Maktoum, Vice President and Prime Minister and Ruler of Dubai.